It's bagel time! Yes, I've been saying that I wanted to make bagels pretty much since we moved in to our current rental...in November! Well, over the weekend, I finally got around to it, with a little help from my trusty breadmaker. I followed this recipe from the blog This Chick Cooks, except for the final baking which I took from a recipe I made a couple summers ago. The original recipe called for broiling the bagels, which I didn't think would result in a lovely golden brown. Combine all ingredients except for the egg white in your bread maker in the order according to the manufacturer's instructions. My bread maker calls for the order listed above. Set to dough cycle. When dough cycle is complete, divide dough into 12 round balls. Use your thumb and a hulu hoop type motion to make a hole. 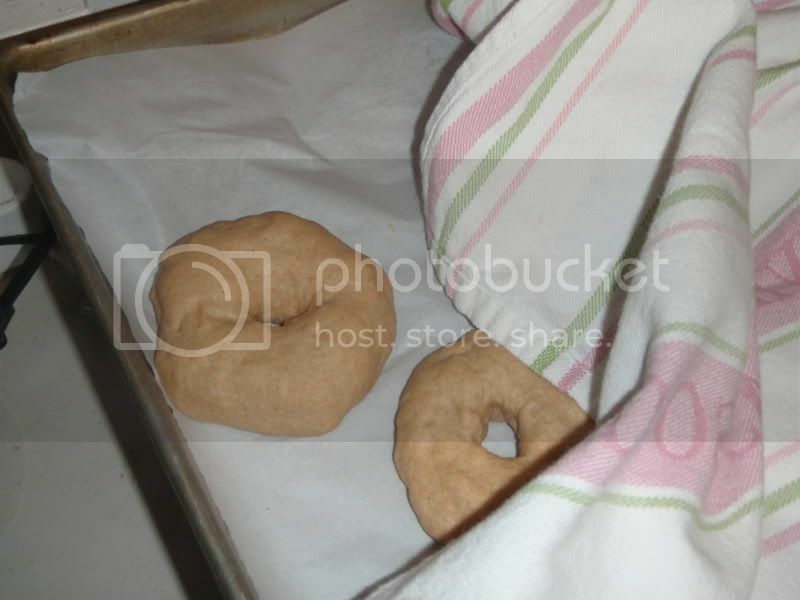 Cover with a towel as you make each bagel shape. 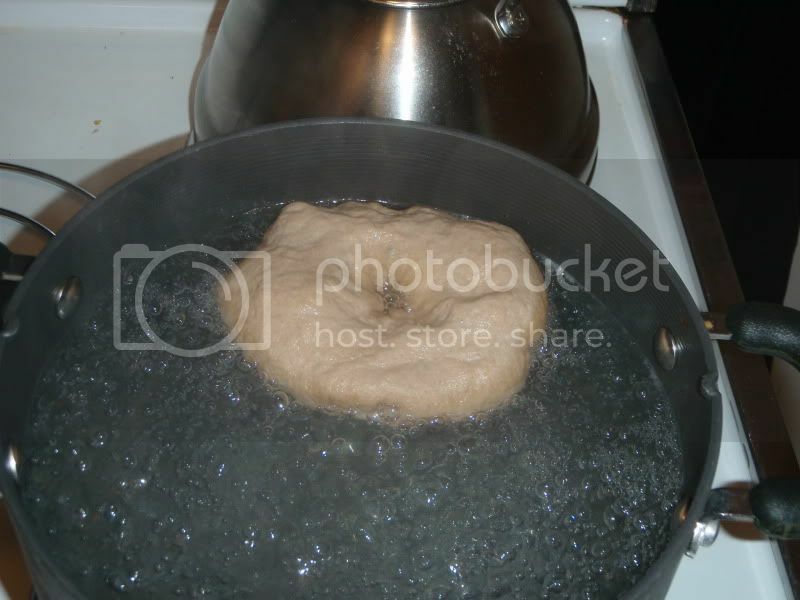 While forming bagels, bring a large pot of water to boil. 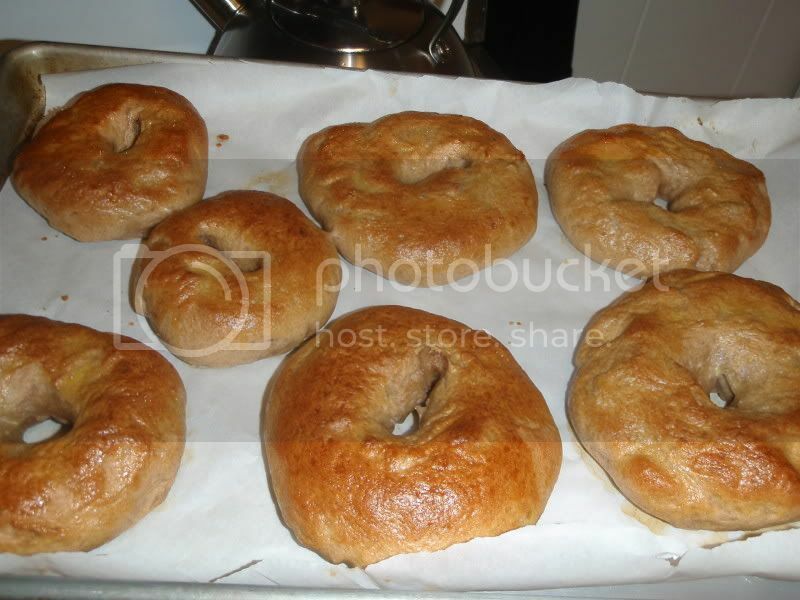 Boil each bagel for 2-3 minutes. Drain on a rack while you preheat the oven to 425 degrees. 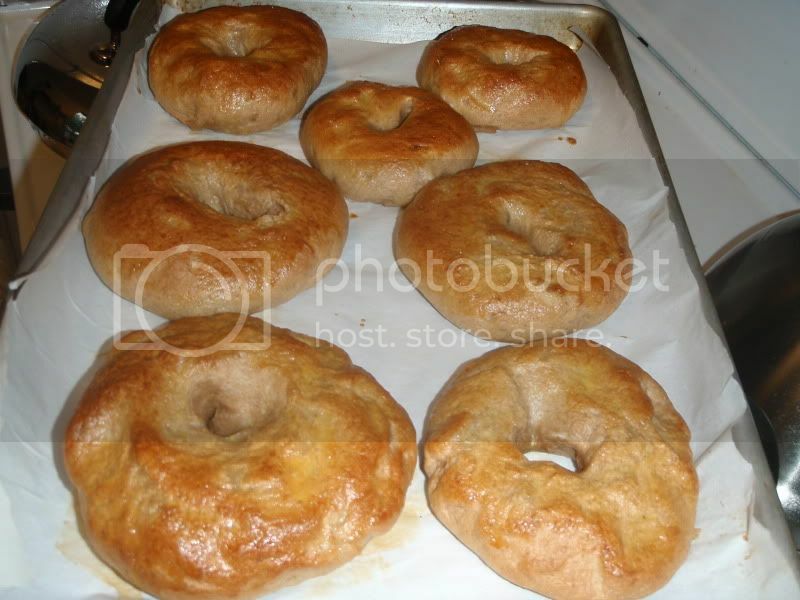 On a cookie sheet covered with parchment paper, place bagels and brush with egg white.